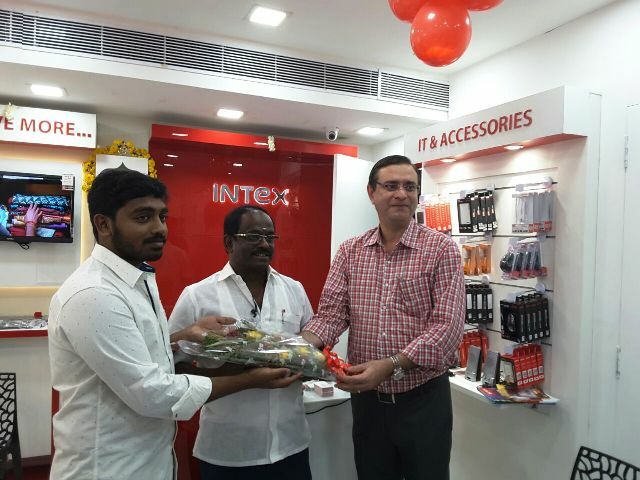 Chennai, July 15, 2016: Intex Technologies, one of the leading Indian mobile handset company, scaled up its presence in South India with the opening of its 9th Smart World store in the region, which is also the 80th store in the country. This initiative of opening exclusive brand stores was taken only 15 months ago. The store opened is the second in Chennai and the third for Tamil Nadu. Intex Smart World in South has footprints in Andhra Pradesh, Telangana, Tamil Nadu and Karnataka states. The 310 sq ft smart world store was inaugurated in the presence of Intex officials and the franchise owner. The first Smart World store in Chennai was opened in March earlier this year, while, the first store of Tamil Nadu in Hosur, opened in November 2015. “It’s important for consumers to experience a product fully and understand its benefits clearly to make an informed purchase decision. We are rapidly expanding our retail presence and Tamil Nadu is an important market for us. We are delighted to inaugurate our 2nd Smart World store in Chennai, also the third store for Tamil Nadu. South India is a mature market and we look to expand our footprints not only in metro cities but small towns as well in order to reach out to the end consumers,” stated Mr. Vishal Malik, DGM, Retail, Intex Technologies. Intex Smart World began its operations in April 2015 as part of continued efforts in strengthening retail presence and engaging consumer experience. These exclusive outlets are single touch points to experience the wide range of Intex products through super quality demo by trained quality staff. Currently, Intex has 80 Smart World stores covering 60+ cities and 21 states across the nation.